It’s time to dust off your glad rags and go back in time for the annual vintage charity tea party in College Town, Sandhurst. 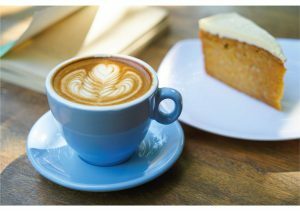 Camberley and District Funeral Directors are inviting people to come along and enjoy tea, coffee and homemade cake whilst listening to vintage hits from the 40s, 50s and 60s on Saturday 11 August from 12pm to 2pm. There will also be the chance to enter the charity raffle with all proceeds going to charity partner The Rainbow Café for the Over 50’s. The charity is an independent local charity that is part of Surrey Heath Age Concern and provides a valuable service to senior citizens with a visiting and befriending service and Tea ‘n Chatter sessions for those lonely and isolated people in our community. The annual vintage tea party takes part on the funeral home’s front lawn. Connie Sweeney and Gabrielle Castell, from Camberley & District Funeral Directors, said: “This is the second year we have held an annual vintage tea party and it is a great opportunity for everyone to get together and spend an hour or two socialising whilst having tea and cake. To help with catering requirements, please let Connie and Gabrielle know if you are planning to attend and feel free to bring along family or friends. To RSVP or to find out more, visit Camberley and District Funeral Directors at 337 Yorktown Road, College Town, call 01276 33241, email info@camberleyanddistrict.co.uk.